All US States have departments which regulate Radiologic Technologist activity within the state. Some states have specific X-ray CE requirements. Check with your state’s registry to confirm exact requirements. See our Arizona page for more info. See our Arkansas page for more info. See our California page for more info. There are no state-specific CE requirements for radiologic technologists working in Colorado. According to the CDPHE, limited license operators who use X-ray machines must have ARRT certification. To maintain ARRT certification, techs need to complete 24 CE credits every two years and pay the applicable fees. Besides, technologists specializing in mammography and bone densitometry are required to pass the appropriate examinations and complete registration with the ARRT. The Colorado Society of Radiologic Technologists (CSRT) has additional resources and job opportunities for radiology techs in the state. See our Connecticut page for more info. There are no specific CE requirements in the State of Delaware. National credentialing organizations such as ARRT, NMTCB, CCI, and ISCD are acceptable for Delaware certification. The Delaware Office of Radiation Control issues certificates to radiologic technologists valid for a period of 3 years. Renewal of certification is based on proof that an RT’s national credentials are valid. Maintaining credentials with the ARRT requires technologists to earn 24 CE credits every two years. The Delaware Society of Radiology Professionals has a Facebook page with useful information for radiographers practicing in the state. See our Florida page for more information. Radiographers licensed after January 1, 1999, require 24 continuing education credits in the preceding biennium to renew a license issued by the Hawaii State Department of Health. Radiologic technologists who have met ARRT CE requirements are deemed to have met the continuing education requirements of the state for license renewal. RTs must maintain proof of participation in CE activities and attest to this at the time of license renewal. The documentation should be maintained for the preceding biennium and provided to the board upon request. A sample of radiologic technologists is chosen for verification of CE documentation each year. Failure to submit documentation of acceptable CE credits is grounds for suspension or revocation of the radiographer’s license to practice in Hawaii. The Hawaii Society of Radiologic Technologists (HSRT) is a non-profit organization that offers opportunities for continuing education and establishing connections with fellow radiographers. Any person using X-rays on human subjects in the state of Illinois is required to be licensed. The Illinois Emergency Management Agency (IEMA) issues licenses to radiologic technologists working in the state. To obtain Illinois accreditation, 24 hours of continuing education are required every 2 years for medical radiographers, nuclear medicine technologists, and radiation therapy technologists. Limited license holders require 12 CE hours. Radiology assistants require 50 CE credits every 2 years. In addition, valid ARRT registration is required if you are employed in Illinois. ARRT credentials need to be renewed annually and 24 CE credits are needed every biennium. Membership of the Illinois State Society of Radiologic Technologists (ISSRT), although not mandatory, can be a useful resource for radiographers in the state. The Indiana Professional Licensing Agency (PLA) allows radiographers to renew their license and update contact information online. There are no state-specific continuing education requirements for radiologic technologists working in Indiana. The Indiana Society of Radiologic Technologists (ISRT) was established in 1939 with a mission to provide education and advocacy to medical imaging professionals. Members of the society receive opportunities for continuing education, networking, and leadership development. See our Iowa page for more info. See our Kansas page for more info. The KBMIRT enforces continuing education requirements in the state. All licensees are required to obtain a minimum of 24 continuing education units per biennium. Limited license X-ray machine operators must obtain at least 12 CEUs per biennium. Renewal occurs every two years and CE must be related to the licensee’s area of practice. Each CEU shall be earned by participating in 50 contact minutes of an approved educational program. Academic courses for CE equivalency are based on 1 credit hour equal to 15 CE credits. Credit is not granted for repeat instruction of the same course in the same biennium. The licensee is responsible for reporting CE units and submitting documents to the Board upon request. CE documentation must be maintained for the current and prior biennium. A random selection of licensees are audited each year and are required to furnish documentation of completed CE units to the KBMIRT. The Kentucky Society of Radiologic Technologists (KSRT) offers regular membership at $40 per year and discounted student membership at $20 per year. Members benefit from events such as student seminars and annual meetings that qualify for CE credits. Continuing education requirements for radiologic technologists in Louisiana are 24 hours per two-year period for general radiographers, nuclear medicine technologists, and radiation therapy technologists. The CE activity must be related to the licensee’s area of practice. The license renewal period begins on March 1 and ends on May 31 each year. Licensees must complete 24 CE credits between June 1 and May 31 of the preceding two years. There is no probation period. If a license is not renewed before May 31, it expires and it is then illegal to work as a radiologic technologist in Louisiana. The Louisiana Society of Radiologic Technologists offers opportunities for CE credits to X-ray techs employed in the state. Radiologic technologists employed in Maine require 24 CE credits related to the licensee’s profession every two years. Licenses are issued for a biennium. There is a fixed renewal date of August 31 in even years. The renewal fee is $100. Online submission of a renewal application should not be construed as an automatic renewal of the license. The Department will verify that all conditions for renewal have been met, including 24 hours of CE as per Board rules, before a renewed license is issued. The Maine Society of Radiologic Technologists offers membership to licensed technologists at $25 per year. Members can benefit from networking opportunities and annual educational conferences. Licenses issued to radiographers, nuclear medicine technologists, radiation therapists, and radiologist assistants in Maryland expire on April 30 of odd years. In order to maintain an active Maryland license, technologists must mail in a renewal application to the Board along with the renewal fee of $161. Payment must be made online through Visa or MasterCard credit cards. Checks, money order, and American Express card payments are no longer accepted. To satisfy Maryland CE requirements for X-ray techs, the licensee must certify that they have earned at least 24 hours of approved continuing education in relevant subjects during the 2-year period preceding license expiration. Current registration with the ARRT or active certification by NMTCB satisfies Maryland CE requirements. Radiologist assistants must earn 50 CE credits in the preceding biennium. If a technologist is randomly selected for audit, they are required to send continuing education documentation to the board by the date indicated on the pop-up during the online renewal process. The Maryland Society of Radiologic Technologists offers resources, job listings, and leadership development programs along with memorabilia to its members. Membership benefits also include educational opportunities, preferred rates at events and meetings, and advocacy for the profession. See our Massachusetts page for more info. Radiologic technologists in Michigan who perform mammographic examinations are required to meet general requirements, mammography requirements, continuing education requirements, and continuing experience requirements. Technologists must comply with ARRT CE requirements for the imaging modality in which services are performed. For example, CT operators must earn credits pertinent to CT. Michigan CE requirements are for mammographers to complete 15 CE hours in the last 36 months and 200 exams in the last 24 months. License renewal is every three years. The Michigan Society of Radiologic Technologists (MSRT) holds conferences and offers student leadership development programs. Membership perks also include CE offerings and access to educational resources. Radiology CE state regulations in Minnesota is for mandatory 24 hours in a two-year period. The Minnesota Society of Radiologic Technologists (MNSRT) offers educational conferences and symposiums as well as other learning opportunities and social mixers for its members. The membership fee is $40 per year. CE requirements for radiographers and nuclear medicine technologists employed in Mississippi are 24 hours of ARRT-approved activities per two-year term. The Mississippi Society of Radiologic Technologists (MSRT) is an affiliate of the ASRT and advocates for radiologic technologists working in the state. Active membership costs $30 annually for registered radiologic technologists. Members benefit from networking and employment opportunities, conferences, awards, and competitions. Continuing education seminars are also offered periodically. X-ray techs employed in Montana must renew their license annually between the regular renewal dates of December 1 through February 1 or late renewal online until March 18. The active license renewal fee is $75 and the late fee is $75. Limited permit holders can renew their license by paying the fee of $60. Continuing education requirements for Montana radiologic technologists are evidence of current ARRT certification, which requires 24 CE credits per biennium. The Montana Society of Radiologic Technologists offers one-year membership for $20 and two-year membership for $35. The annual conference has several interesting presentations for X-ray techs. Medical radiographers and limited license radiographers in Nebraska must complete 24 hours of continuing education every two years in topics related to medical radiography and related subjects. License renewal occurs every two years. The Nebraska Society of Radiologic Technologists (NSRT) holds an annual conference and competitions for its members. The Nevada DPBH does not license radiologic personnel. However, it does perform certification of operators for mammography radiation producing machines. Mammographers must earn 15 CE credits with at least 6 CE credits in the specific modality used by the technologist. Certificates of authorization are renewed every 3 years. The Nevada Society of Radiologic Technologists (NVSRT) holds annual conferences, educational symposiums, and meetings and offers networking opportunities to imaging professionals in their local chapter affiliates. Member are also offered affordable CE activities. The State of New Jersey issues licenses to radiologic technologists in eight disciplines. Licenses are valid for a maximum of two years from the date of issue or January 1 of odd years and expire on December 31 of even years. Technologists are required to maintain active valid certification by the ARRT which requires earning 24 CE credits every two years. Membership of the New Jersey Society of Radiologic Technologists can be a useful resource for X-ray techs. One-year membership costs $25. Radiographers and nuclear medicine technologists employed in New Mexico must provide proof of completion of 24 hours of RCEEM approved CEUs in the current biennium. There are new licensure requirements for sonography and MRI professionals. Copies of certificates of completion of approved continuing education activities that include the date of completion and number of approved CEUs along with the name and reference number of the RCEEM are accepted with the license renewal application. The New Mexico Society of Radiologic Technologists is a useful resource for X-ray techs employed in the state. The New York Department of Health, Bureau of Environmental Radiation Protection (BERP) regulates continuing education for radiologic technologists employed in the state. A total of 12 CE credits are required annually. To satisfy the continuing education credits requirement, technologists can submit a copy of their current ARRT or NMTCB certification. Technologists who are not certified by these registries must submit proof of CE credits. Further details are available on the Department’s website. Further resources for NY RTs may be available from the New York State Society of Radiologic Sciences (NYSSRS). The Ohio Department of Health has a continuing education requirement of 12 hours per license for radiologic technologists, nuclear medicine technologists, radiation therapy technologists, and limited license holders. A current valid NMTCB or ARRT certification card fulfills CE requirements for Ohio RTs. Licenses are renewed every two years. The Ohio Society of Radiologic Technologists (OSRT) offers preparatory workshops and structured didactic education workshops as well as job postings and the opportunity to serve on committees and promote advocacy. The Oregon Board of Medical Imaging requires one clock hour per month. Therefore, RTs must demonstrate 24 continuing education credits per biennium or current registration and CE compliance with the ARRT. The CE activity must be pertinent to the subject area of radiologic technology for which the license or permit was issued. Independent or directed reading and listening to or viewing audio and video presentations must include a pre-approved post-test. Effective January 1, 2007, CPR and HIV/AIDS and Blood Bourne Pathogens/OSHA are not eligible for CE credit. Licenses are valid for a biennium and expiration is on the first day of the birth month of the technologist. Renewal costs $124 for a two-year license. The Oregon Society of Radiologic Technologists provides continuing education through an annual meeting as well as special seminars with lower registration fees for OSRT members. Membership also provides an opportunity to meet and exchange ideas with other X-ray techs. The Department of Environmental Protection in Pennsylvania requires individuals who operate X-ray machines to fulfill certain continuing education requirements to ensure they are competent in the safe use of radiologic equipment. Through the Bureau of Radiation Protection, the department has provided a list of organizations and resources whose tests and training are acceptable as proof of compliance with CE requirements. Continuing education for radiologic technologists in Pennsylvania must occur at least every two years for individuals who perform high-risk procedures where skin doses could exceed 200 rad or 2.0 Gy. Continuing education for low-risk procedures shall occur at a minimum every four years. Documentation demonstrating compliance with CE must be made available to the DEP for inspection if requested. The PDF and PPTF for the Refresher Training for X-ray Equipment Operators can be accessed here. Participants are required to complete a multiple choice quiz at the end of the training and will receive confirmation of compliance upon successful completion of the training. Radiologic technologists employed in Rhode Island are required to complete 24 hours of continuing education per license every two years. These CE activities may include courses, lectures, seminars, and training programs related to the RT’s area of practice. At least 2 CE credits should be related specifically to radiation protection. At least 12 CE credits must be completed through a formal approved program. Current registration and certification with the ARRT is equivalent to meeting Rhode Island CE requirements for radiologic techs. The Department of Health renews licenses on July 31 of odd numbered years. Separate renewal applications and fee are required for each licensed category. Further information is available here. The SCRQSA has established certain continuing education requirements biennially for recertification. 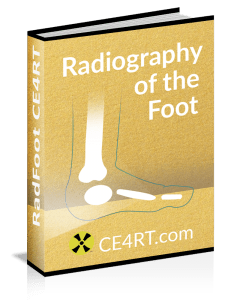 Radiologic technologists holding a license in radiography, nuclear medicine, or radiation therapy must complete 24 hours of CE every two years. Limited practice radiographers (general) require 12 CE credits per biennium. Bone densitometer operators also require 12 CE hours per biennium. Certified bone densitometer operators (peripheral) do not require any CE. The CE activity must be related to radiologic technology. CE certificate holders are responsible for maintaining proper documentation of activities attended. Every X-ray operator certified by the Tennessee Board of Medical Examiners must attend and complete 20 hours of continuing education every biennium. The courses must be approved by the board and related to radiology. The due date for completion of CE activities is the biennial license renewal date of the certificate holder. Proof of attendance of CE hours must be retained for at least 4 years from the end of the calendar year in which the course was completed. This documentary proof may need to be produced for inspection and verification by the Board. See our Texas page for more information. Radiologic technologists working in Utah must complete 16 hours of CE every two years related to the area of practice. License renewal occurs on May 31 of odd numbered years. All X-ray operators and nuclear medicine technologists, including limited license holders, must complete no fewer than 24 hours of ARRT-approved continuing education hours every two years. Accumulation of CE hours shall begin on the first day of the first full biennial licensing period following initial licensure. More information on CE for X-ray in Vermont is available here. Radiologic technologists working in Virginia must earn 24 CE credits every two years. Out of the total CE requirements, 12 hours must be Category A hours that are approved by the ARRT. Licenses are renewed every two years. Excess hours earned in a biennium cannot be carried forward to the next biennium. RTs do not need to send in evidence of continued competency activity hours at the time of renewal. Some licensees will be randomly selected for post-renewal audit and notified by mail to submit documentation within a given timeframe. It is the licensee’s responsibility to maintain verification documentation for CE. There is no continuing education requirement for X-ray techs in the State of Washington. Radiologic technologists, nuclear medicine, radiation therapy, and MRI technologists in West Virginia require 24 hours of Category A continuing education credits during the two-year reporting period. The CE activities must be pertinent to radiation sciences. ARRT members who are in compliance with the ARRT CE requirements are not required to provide any CE documentation. Members of the NMTCB who are in CE compliance are not required to provide CE documentation. Renewal of a previously held WV medical imaging license costs $65 for one year. More information on CE for X-ray in West Virginia is available here. There is licensing of technologists and no X-ray continuing education requirement in Wisconsin. Individuals operating CE radiation therapy equipment require ARRT certification. There is no grace period for general license renewal. Renewal applications are accepted no more than 120 days prior to expiration date. Applications postmarked after the application date will not be accepted by the Board. Radiologic technologists must show completion of 24 hours of continuing education in two years or current ARRT NMTCB or CBRPA card. Each contact hour should be no less than 50 minutes of instruction or presentation. A licensee may be exempt from CE in Wyoming if a physical disability or illness is present for at least 180 consecutive days in a calendar year. Further information on license renewal is available here.